"Today while practicing some new repertoire, a new dimension of understanding concerning breath support opened to me. I realized I must love each and every single note which is sung while giving each and every note the room it needs to be comfortably and fully expressed. There can be no skimming over any note or combination of notes, there can be no notes which are more important than others. Each note must be allowed its full place and be offered, yes, full support according to its individual needs. I can think of lots of parallels to everyday life, the most obvious being people. There is room for everybody on the planet (that includes all singers - there is indeed room for each and every singer and artist) and each person must have space and, ideally, room to grow and fulfill their personal potential. And it seems to me, no other person can give us that space because it is an internal one which we must make or take for ourselves. Support yourself and you can support the voice." That is the name of the course I teach, though I must admit that music is something I really don't claim to fully understand. I have been spending a lot of quality time (bordering on too much quality time) swimming around YouTube looking for performances to show to my classes. Rather than posting all the YouTube links I would love to share here, I'm posting a link to my nearly new finesclass blog for anyone who might be interested in enjoying the spoils of my "labor." Don't worry. You don't have to do any of the assignments. I took (and failed) the test that was part of the study described in this article about perfect pitch being genetic. The tones that were generated were computer tones that were devoid of any kind of "color." Simple pitch recognition, or the ability to register the number of oscillations per second that a given pitch goes through, is what that study measured. Like most musicians, I have relative pitch. I can also identify pitches when they are played on any of the instruments I have spent a lot of physical time with: violin, viola, flute, and recorder in particular, because I respond to those instruments by physical sensation, but that's not perfect pitch. Perfect pitch is absolute pitch. The kind of pitch that I have tried to develop. The kind of pitch that my brothers were born with. The above article suggests that the ability to perceive pitch "goes sharp" when we get older. I don't think that a change in mental ability is the cause. I know of three older people who have complained that they hear pitches half a step sharp (one is my father--who only has the problem when listening to recordings, one is my friend's father, Louis Teicher, and one is Svatislov Richter). I imagine that there must be something physiological about the hearing mechanism that causes pitches to be heard sharper that comes with age. Only someone with perfect pitch would notice, though. Before he was a knight, he was a Mad King. 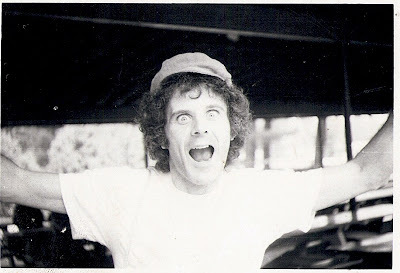 I snapped this photo of Peter Maxwell Davies in 1973 at Tanglewood, where he was a composer in residence, and I was a teenager fascinated by "Eight Songs for a Mad King." I found this today while going through a bunch of old photos. Oh dear. I feel like there might be a little friction or a little drama in the best crossover vs. worst crossover recordings answer on the Soho Quiz, and I certainly hope that my violist friends (Charles and Liz) in the blogosphere are not offended because a recording I really wanted to like turned out to be a disappointment for me. Yes, there are worse crossover recordings. There are many of them. Probably thousands. My internal sanity-preservation machine wipes most of them out of my consciousness as soon as the recordings leave my hands and my house. I guess the recording in question is still on my shelf and still in my mind, so maybe it's not all that bad. I might even give it another listen. Classical Barbra, Ron Carter playing Bach Cello Suites (Michael reminded me of that one), and Diana Ross singing with Domingo and Carreras on Christmas in Vienna (the concert on TV had some selections from Handel's Messiah that they seem to have removed from the recording). It's Soho the Dog's game time again! This game is even more fun than the last one! Go over to Soho the Dog and play. I'll post my answers there. They are all in the same family, three brothers and a cousin. Yes, this is a violin (and viola) technique post: I had a very successful lesson with a student today, so I thought I would share its "spoils" with people who might be interested while I am still thinking about it. I send my kind greetings to non string players, and I understand completely if you don't feel like reading any further. I don't use a shoulder rest. I never have. My students, who enjoy their "elite minority status," don't want to use shoulder rests either, so when it comes to teaching them how to shift I need to explain and demonstrate the technique of shifting without a shoulder rest very carefully. Shifting, particularly down-shifting, without a shoulder rest (and without tension) has everything to do with balance; and for people with less-than-adequate left hand positions, the act of practicing shifting properly without a shoulder rest can be a problem. The good thing is that holding the violin properly and shifting properly gently, and with time, "coerces" the left hand into finding its optimal position. I have always thought of having three points of contact when holding the violin. These three contact points are vital when down-shifting. (I never "learned" this from anyone--I just figured it out, so there is no "authority" I can mention to add validity to my "argument") The three points form a kind of triangle. The first point of contact is the left thumb, which, because it is attached to the hand and the arm, supports the instrument. The thumb should be relaxed and rest slightly under the neck of the instrument. It should not be bent, but it should be flexible and relaxed enough to bend if it needs to, once in a while. A shoulder rest, because it acts as a kind of a lever, takes a lot of weight off the hand, thus making the idea of thumb support (which is one third of my personal "burden") not necessary. I think that people who learn to play with shoulder rests have a different sense of their left thumbs than people who play without shoulder rests. But I wouldn't know, having never played with a shoulder rest. My shoulder-collarbone combination and my hand (with that all-important supporting thumb) act as a kind of two-point shelf support, like the kind you have in a bookcase to support a removable shelf. I have a very strong left bicep (mainly due to practicing), so I don't have any trouble holding my arm up for extended periods of time. I tell my students that strength is one of the perks of being a string player. The next point of "contact" is the middle of the bow. The weight of the middle of the bow on the string acts like a kind of lever to keep the violin elevated so that it can simply sit on the "shelf supports" created by my left thumb and my shoulder. Since the bow is always moving, the middle-of-the-bow weight can take up a good portion of the bow and can last a long time--as long as my right arm keeps in contact with the string. 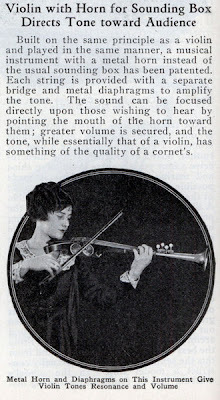 The left arm pushing slightly upwards and the right arm consciously letting its weight go into the strings of the violin, stabilizes the instrument. When the instrument is stabilized, the left hand can easily shift upwards or downwards. It simply isn't necessary to grip with the chin in order to stabilize the violin. There are many benefits to playing this way. You get the benefit of the recoginzing the relationship between the two hands "through" the instrument, and the added benefit of an improved sound and range of nuances through awareness of the bow's physical contact with the strings. Your left hand position will improve because form, over time, follows function. You will develop strength in both your arms, and strength in the left arm allows more energy to go to the left hand and the fingers, resulting in a more secure stopping of the strings and pitches that are more true-sounding, especially when you use vibrato. There are a few drawbacks. I can't wear silky dress shirts with collars or shirts with buttons when I play. The collars get in the way, the shirt material makes the instrument slip, and the buttons buzz and rattle. I can't wear turtlenecks either. (I look lousy in both anyway). I can't wear earrings when I play because of the close distance between the top of the violin (which I tip forward to sit on my shoulder and collarbone), and my ears. They were the most blissful days of my life, those of my honeymoon with my muse! Since then it has become a real marriage. We have one child after another, as though that were quite normal, and it hardly even occurs to us to thank one another for this happiness. Huh? The more I read about Mahler, the more I think that he might have been a person on the Autism spectrum. New York Times and Washington Post music critic Tim Page wrote a wonderful personal article in the August 20, 2007 issue of The New Yorker about living with Asperger’s Syndrome (only the abstract is available on line). Reading it reminded me of my own childhood as the only child not somewhere on the Asperger's side of the autism spectrum in my immediate family. We have a wide range (hence the term "spectrum") in our family, with some members teetering on the edge of "normalcy," while others were (and still are) closer to the "classical autism" end of the spectrum. When I was growing up I thought that being "normal" was to have the kinds of sensitivities that Tim Page writes about. I always thought that I was somehow deficient because I didn't have perfect pitch, and I always thought that I was kind of stupid because I didn't have the kind of what I always thought of as intelligence, musical and otherwise, that my brothers had. They always seemed to hear more than I did, and were able to respond to music in a way that I was unable to. I have also always sought out friendships with people "on the spectrum" because the experience of relating in a meaningful way with someone with Asperger's Syndrome is extremely familiar, and even rather comfortable. I also have an uncanny ability of identifying children who are on the spectrum because they remind me of my brothers when they were children. I really appreciate what Tim Page wrote about his childhood and his acute sensitivities to music because it helps me to understand a lot about my childhood and myself. As far as I'm concerned as both a performing musician and as a composing musician, much of what I do is for people like Tim and like my brothers (and my other "brothers" and "sisters" who are music-loving people with Asperger's Syndrome). Note: I just came across this video clip of Tim Page as a 13-year-old aspiring film maker that I thought I would share here. The time has come. . .
. . . and it's kind of quiet around here, but Michael and I are really happy that our "fledglings" are both in a place where they can learn more about the largeness of the world. I just took this Music Gender Identification Survey that is run by the International Music Education Research Centre in England (hence the "centre") that I heard about by way of Peter Kaye. I learned a great deal from listening to the excerpts and trying to determine if the performer was male or female (if it were a test I would have failed miserably). Isn't it amazing that we now live in a time when it is virtually impossible to assign gender classification to a person's sound, touch, or sense of musical line? Of course, while listening to the excerpts I realized that there are typical types of phrases and types of pieces, mostly music written before the 20th century, that one could label "masculine" or "feminine." 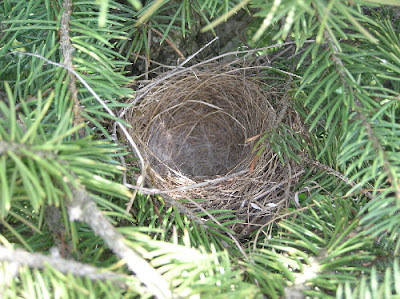 Also as listeners and as human beings participating in a (mostly) two-gender society, we are unconsciously trained to notice masculine and feminine elements in art, music, clothing design, accessory design, handwriting, interior decoration, plays, movies, and marketing and packaging of products. Still, performing "classical" music at a high level is something that requires much more than the biological or genetic make up of a person. It makes me happy to realize that participating in a survey like this one makes it so blatantly obvious. Rudolf Serkin, infamously, once played the entirety of Bach’s Goldberg Variations as an encore. 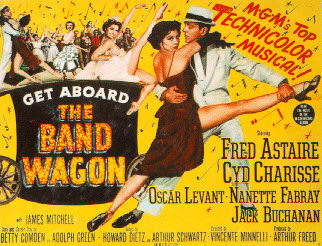 “When I finished,” he remembered, “there were only four people left in the hall—Adolph Busch, Artur Schnabel, Alfred Einstein and myself.” Did the value of Serkin’s recital dwindle along with the number listening? Hardly. My sanguine view of the survival of classical music is reflected in that illustrious trio staying in their seats. There will always be an audience whose demand for the music will remain purely functional, immune to fads, buzz, trends, what have you. Will it be smaller than the audience for this month’s pop sensation? Probably. Does that matter? Nope. from Matthew Guerrieri's fine post concerning the supposed "death" of classical music. Proof that love is blind . . .
. . . and maybe deaf, too. My husband seems to think that I look like this woman--well, maybe I might have 90 years ago! This is but one of the new treats to be found over at Modern Mechanix. Thanks to a couple of good string teachers and and a bunch of dedicated families, we are able, in our relatively rural part of downstate Illinois, to have a summer string orchestra of 30-40 people of all ages and abilities that we call "Summer Strings." I made a post about it last year. This summer people got to practice their parts between rehearsals, unlike last year, when our meetings were mainly sight-reading sessions. We also decided to play a concert in the town band shell (it was a great success: an hour of music without a conductor with only five "rehearsals"). We also decided to make it possible for near-beginners to have their own easy-to-play part, thus creating a 5-voice ensemble. By the third rehearsal everyone understood the importance of playing the right pitches and rhythms. There is nothing like context to quietly prove a point. I made a bunch of arrangements of non-PD pieces (pieces that I will never be able to publish) for this ensemble that I would like to make available to anyone interested in using them. I also have some arrangements of pieces for viola quartet and cello quartet that are a lot of fun to play. I'm so excited about this ensemble that I'm spending the year working on new music for next summer. If you are interested in any of these pieces, just send me an email (elainefine (at) gmail (dot) com, and I'll send you a PDF. When my family and I were in Great Barrington, Massachusetts the other day, we decided to stop in Yellow House Books on Main Street. Although it opened in 1991, I don't recall ever being inside. I made my way to the music section, and was surprised to notice that the used books (the store is mainly used books as far as music books are concerned) on the shelf were almost all books I had on my bookshelf at home. There were even odd things there like Cyril Scott's Music: its Sacred Influence Throughout the Ages. Feeling a bit taken aback, I flipped through their surprisingly interesting collection of used music. There was a section of flute music. As I flipped through the collection I realized that I had, at one time, owned every single piece of music in there--and there must have been 60 pieces. I picked up a pristine copy of the Bach D minor Violin Concerto for seven dollars (yes, the violin and viola sections were also filled with music in my library) and a pocket score of Mozart's 40th Symphony (always useful for teaching), along with a book of English Renaissance polyphonic music, and a book from the 1950s about guitar playing with a section that explains how to yodel (that was for my son and my husband). I know that it is ridiculous to find any significance in this little "event," but since all the familiar music and all the familiar books were in one place, and I was one person having a used bookstore "experience," I felt as if I had found the discarded musical property of my "double." Every year for the past decade or so, the four members of my immediate family go on the same trip at roughly the same time of year, give or take a day. Sometimes we take a different route. Sometimes we go to New Jersey first, followed by a jaunt (usually for lunch) around Boston before heading for the Berkshires, visiting relatives all along the way. Sometimes we reverse the order, and punctuate it with different rest stops, restaurants, car snacks, "side trips," and activities. Still, as my son pointed out, our life on vacation seems to progress from one meal to the next, with vivid discussion about our meals in between. This year our vacation was a little bit different. Instead of travelling as two adults and two children, we travelled as four adults. We listened to ipod playlists (made by the younger adults--Michael and I are not iPodpeople) that we played by running an adapter cassette in our cassette player (our car was made before CD players were put in them). I really enjoyed hearing the distincly non-"classical" music that our children carefully chose for us. It is actually worth sitting in the car for 50 hours to get a sneak aural "peek" into the musical minds of our children. We ended the ride singing along with Pete Seeger at Carnegie Hall, and now we are home. I learned the value of the iPod on this trip. While I was "gone," Charley Brighton gave a wonderful performance of a solo euphonium piece I wrote on a concert far away in Slough, England. He made a recording of it, and put it on line, making the "where" of the concert for me somewhere in New Jersey, where I played it for my friends. How strange it all is.